My fave flower is a yellow rose. Something about their bright petals makes me feel happiness every time I look at them. It's also a family favorite. My mom loves yellow roses, too. And her mom loved them as well. It was so special to me to have them as our theme - it made me think of my grandma (who I've never met) and her spirit was all around us. Do you have any big favorites? You know, the favorites that when people see it and you're not around - they probably think of you. Love the yellow roses and the back story! :) I love deep pink roses.. the ones that are almost so pink, they're red...but not quite. Those are my absolute favorites. :) And I also have a thing for tulips! orange tulips are my absolute favorite. the color is gorgeous and they remind me if spring time. 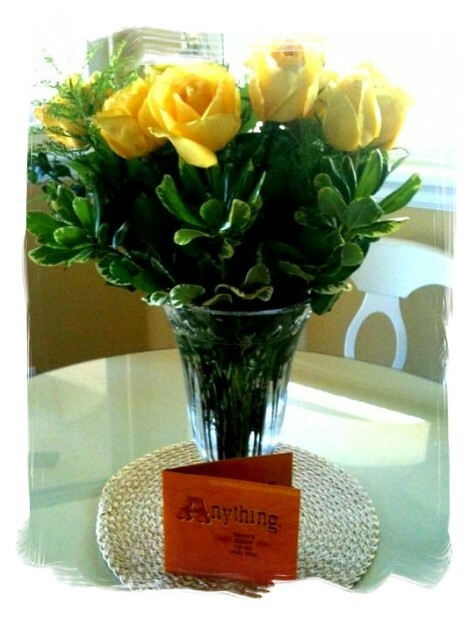 Those roses are beautiful - I love the story of why yellow roses have such significance to you! A thankful morning at the food bank.